Creating an edible piece of artwork like Bread or Cake can be very satisfying to a Baker or Bakerette. It can also be difficult when you turn your baking passion into a business and face challenges in running it successfully. 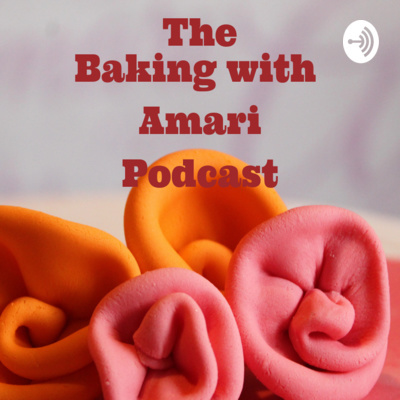 Every week, join Maureen Kamari, long time Bakerette, founder of Amari Baking Center and author of "How To Startup a Small Baking Business", as she shares advice on running your business & tips on improving your baking & decorating skills. If you are a Baker who wants to or has already started a business or just want to hear great baking tips, this is the podcast for you. In this 7th episode I share 3 main reasons why home bakers struggle with increasing sales and how they can deal with them. I hope this episode will be of help to you. Please do share if you know it will be of help to someone. All the best to all of you home bakery owners and small baking business shop owners. Happy Caking ^_^ Til next time! 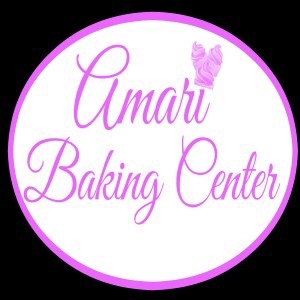 As the founder of Amari Baking Center I've had my share of failures; both big and small. Part of the reason why I share baking for business advice; is because of those failures and what I have learned from them. I like to share my experiences so that someone can learn from them as well and not make the same mistakes I did. I hope this episode will be of help to you. Please do share if you know it will be of help to someone. All the best to all of you home bakery owners and small baking business shop owners. Happy Caking ^_^ Til next time! Hi Bakers and Bakerettes. In this podcast; I share 3 tips that will help you not only set goals, but make it easier for you to achieve them by the end of the year. If you do need a goal setting-template, feel free to reach out - I'll let you know how to get our goal-setting template to help you set goals and work towards achieving them. Have a victorious 2019 ahead wonderful people! In our 4th episode; I share the importance of knowing who your target market is. A lot of home-bakers and small bakery business owners who are baking for business don't know who they are selling to specifically. They don't have an idea of who their target market/audience is. This is why they often get the feedback from potential clients - "You're cake are too expensive" The reason is because you're not selling to the right people. If you're struggling with this complaint in your business; this episode is for you. Once you listen - please do take the next step to helping you sell and market the right way. Happy Caking! If you're thinking of starting a small baking business; it's important to get honest with yourself on what you're really getting into. In this episode, I cover some realities of starting a bakery business and what they mean to you.